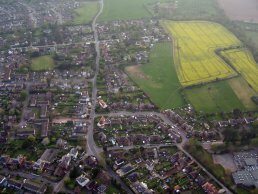 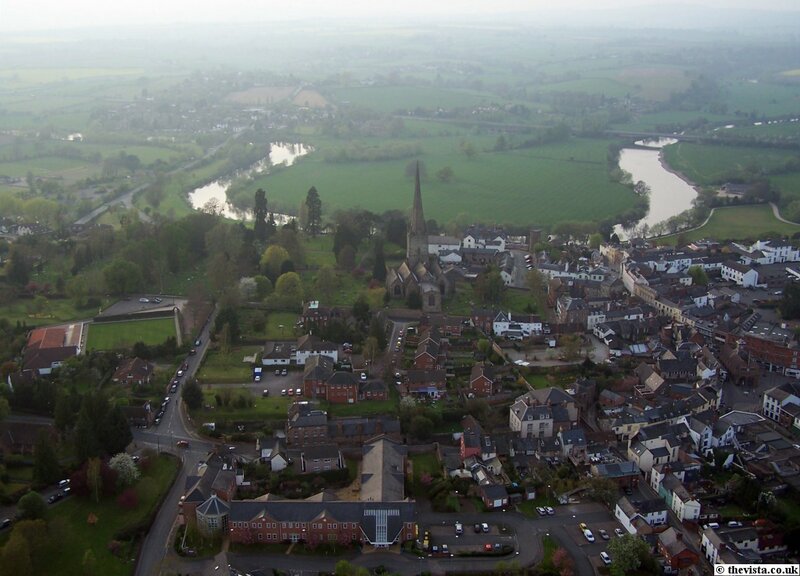 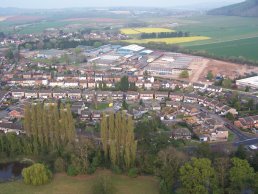 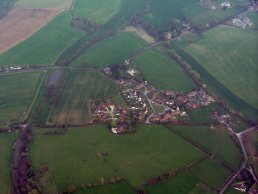 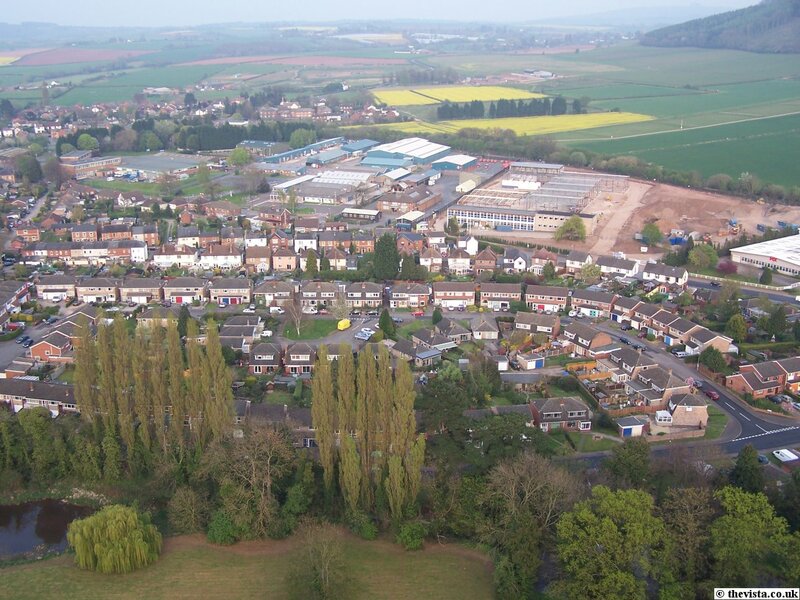 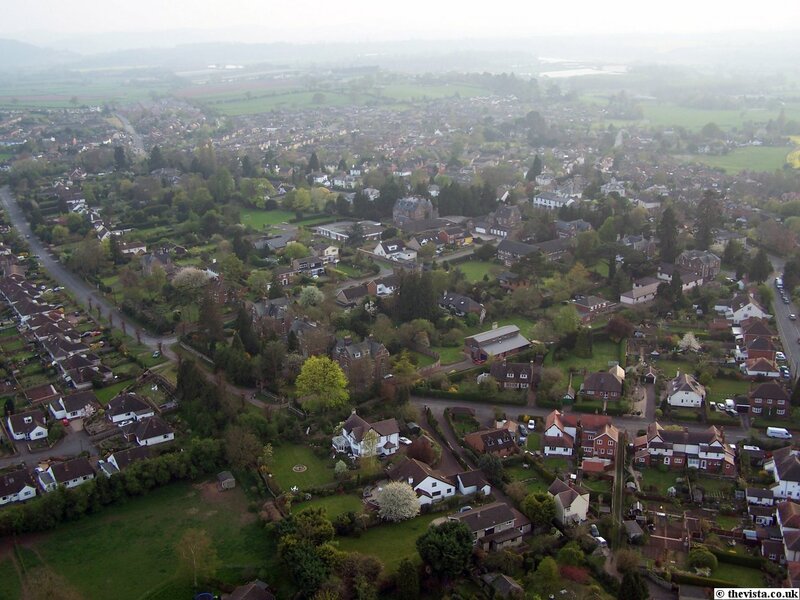 On the 14th April 2007, I was lucky enough to be able to take an evening air balloon flight over Ross (a delayed birthday present) with Wye Valley Aviation. 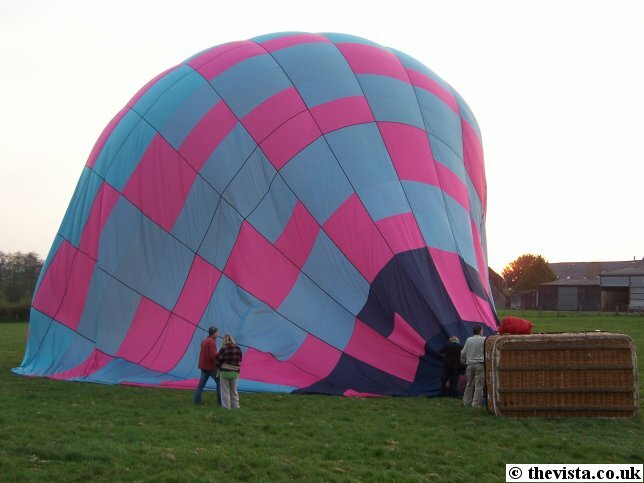 It was a large basket and balloon designed to take eight people plus the pilot. 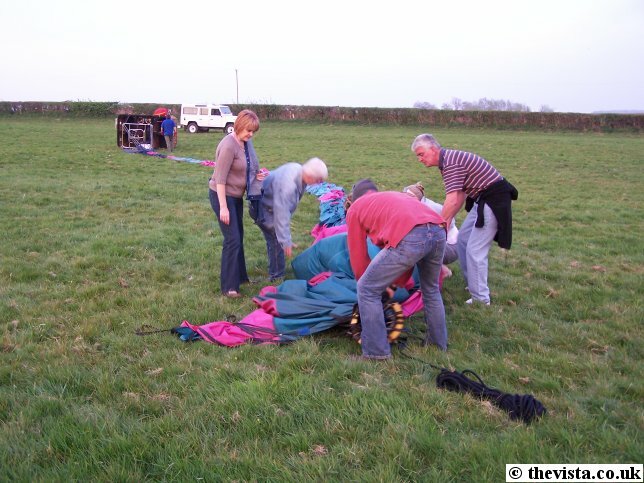 Plus there is a two person ground crew to provide support for the flight. 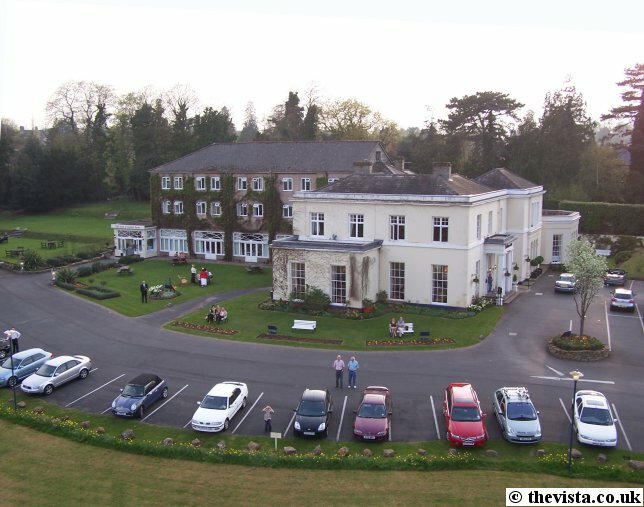 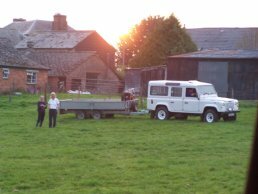 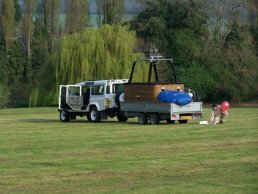 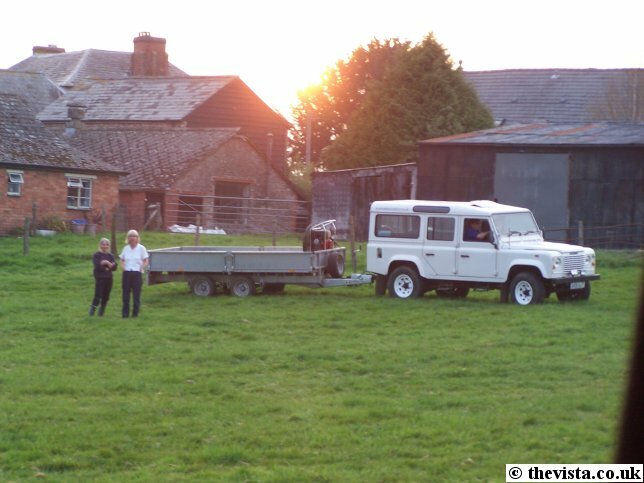 The evening started off at the Chase Hotel with the Land Rover, trailer and packed balloon arriving in the grounds. 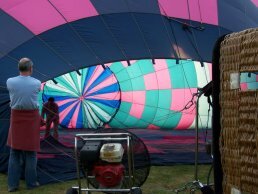 The pilot released a small balloon (as seen in the photo below left, in his hand) to gauge the wind direction, speed and air currents. 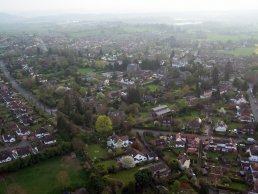 It was unfortunately a slightly hazey evening. 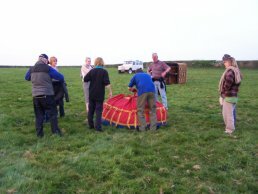 We then off loaded the basket (it was a team effort) and did a practice run at getting into the basket and were shown the landing position and the noise from the burner was demonstrated (good job I had a hat, it was quite warm!!) 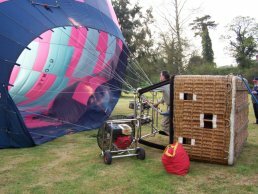 Then we tipped the basket on its side and the balloon was attached to it (see photo above right). 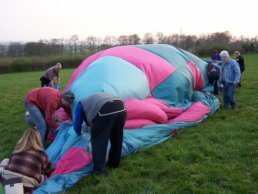 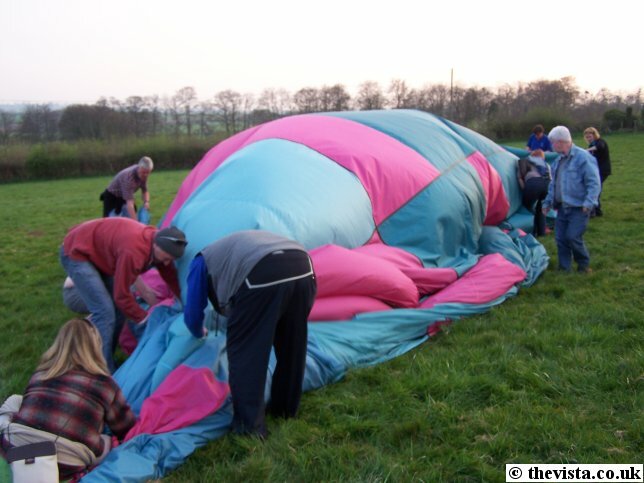 Next we helped to unroll the balloon and stretch it out over the field (photo below). 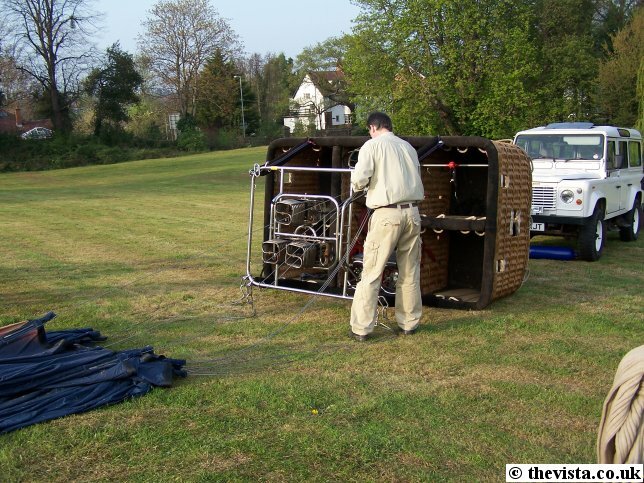 The balloon was then inflated using a petrol powered blower or fan to fill it with air, whilst several of the passengers held open the mouth of the balloon to let the air in (below left). During this, the pilot and ground crew continued to connect up the balloon to the basket including the top vents and balloon rotation vents. 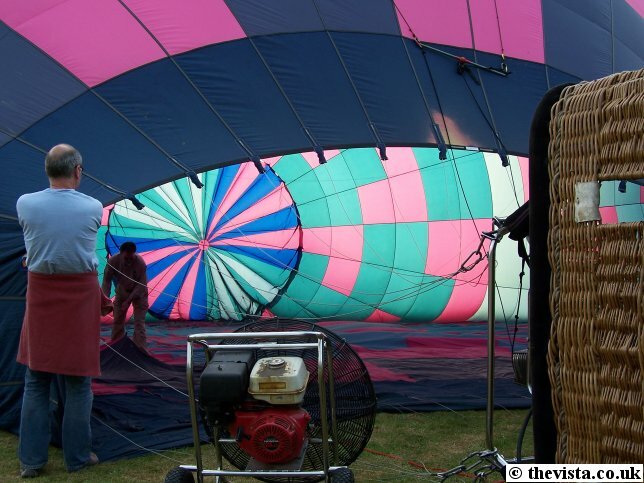 This often involved the pilot climbing on, under and even into the balloon (below right). Once inflated, the balloon was then filled with hot air using the burners on the basket (left). 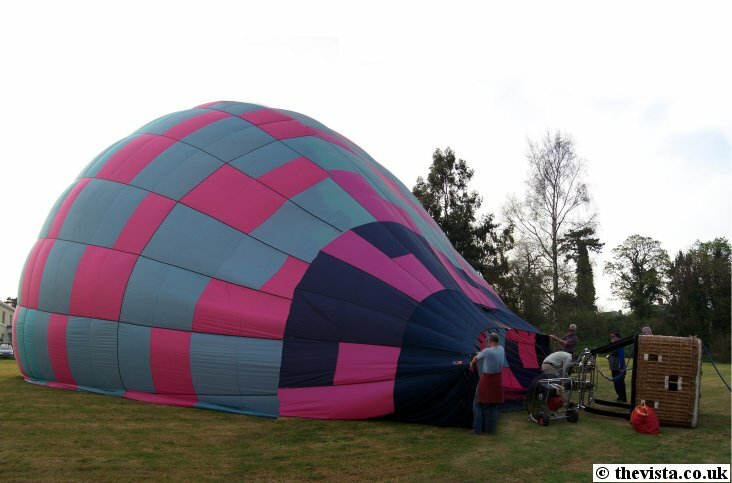 This caused the balloon to rise and pull the basket upright (but not lift up). 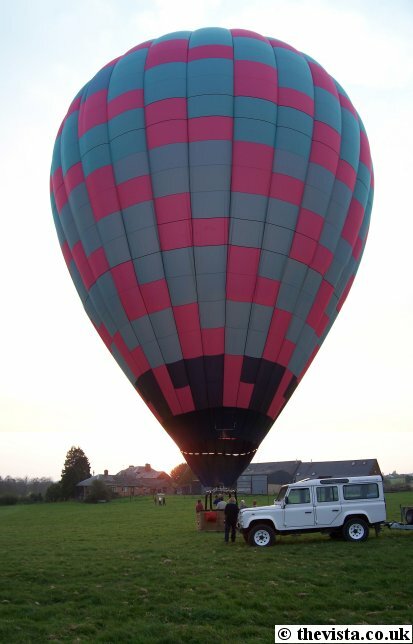 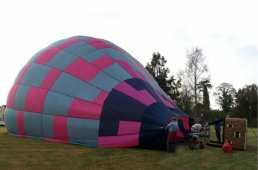 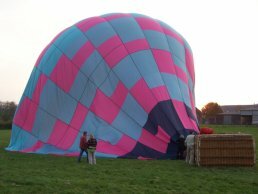 Then we quickly climbed in, a safety check was done on the burners and then they were used to start the balloon rising. 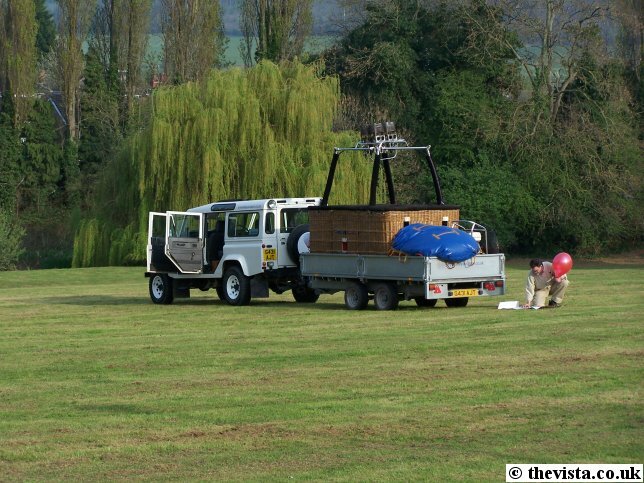 Once off the ground, the safety tether rope, which attached the basket to the Land Rover to stop the balloon accidentally escaping, was let free and we were off over the Chase Hotel (right). 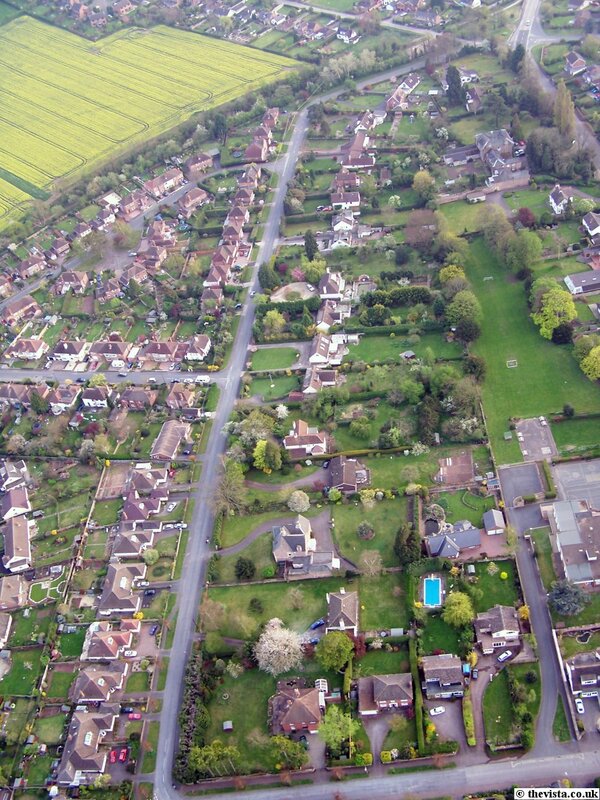 The first street that came into view was Park Walk (below). 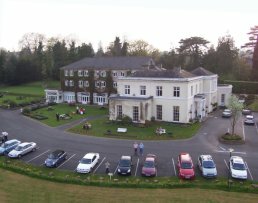 We then rose very quickly and Park Walk (below left) became much less obstructed and then The Gresleys came into view (below right). Eastfield Road then came into view (below left and below right). 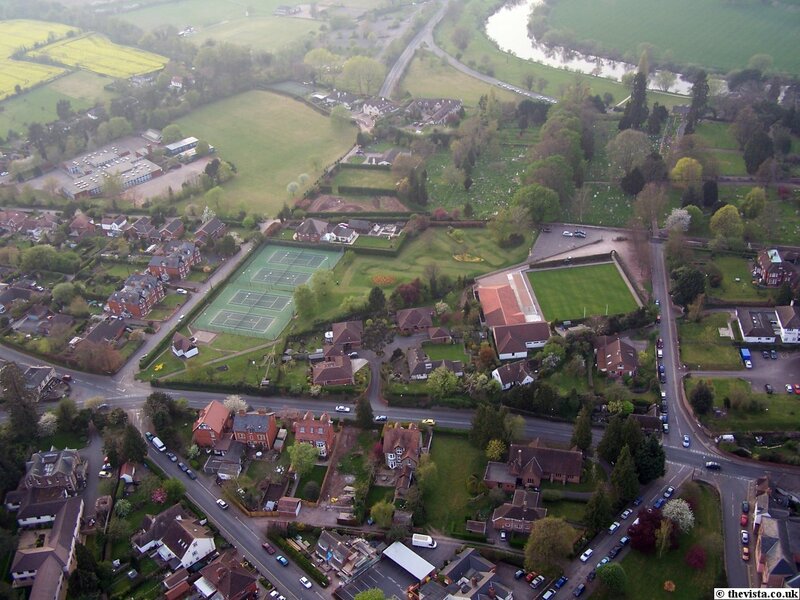 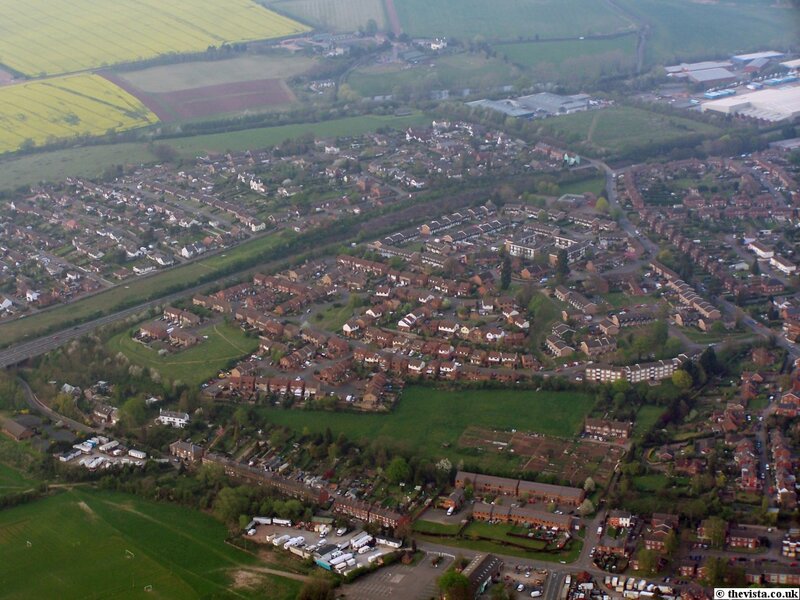 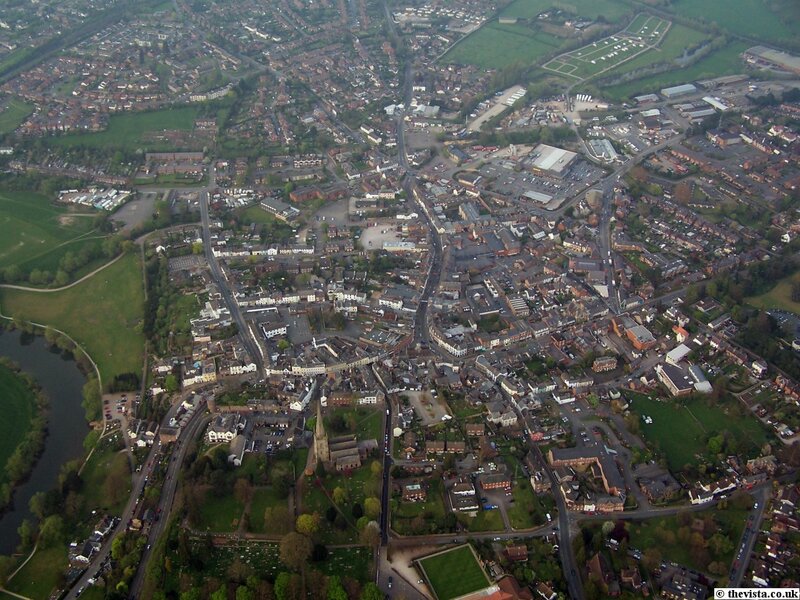 Next we moved towards St. Marys Church (below left) and the Tennis and Bowling Clubs (below right). 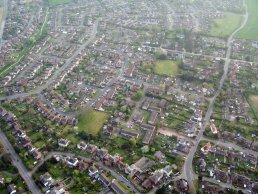 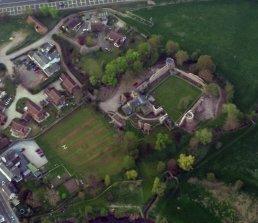 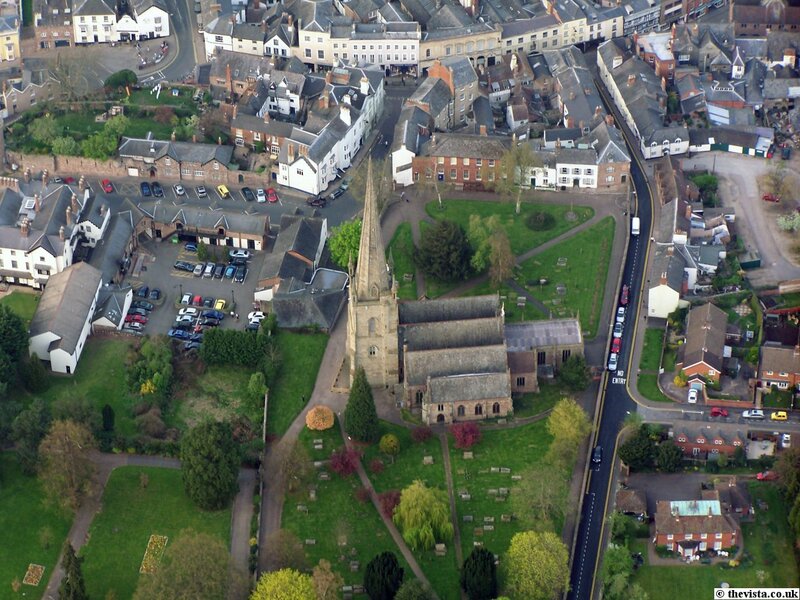 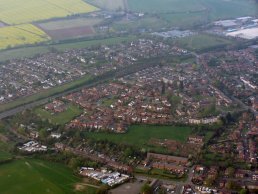 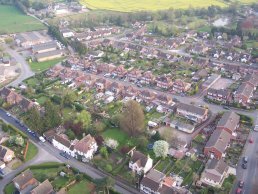 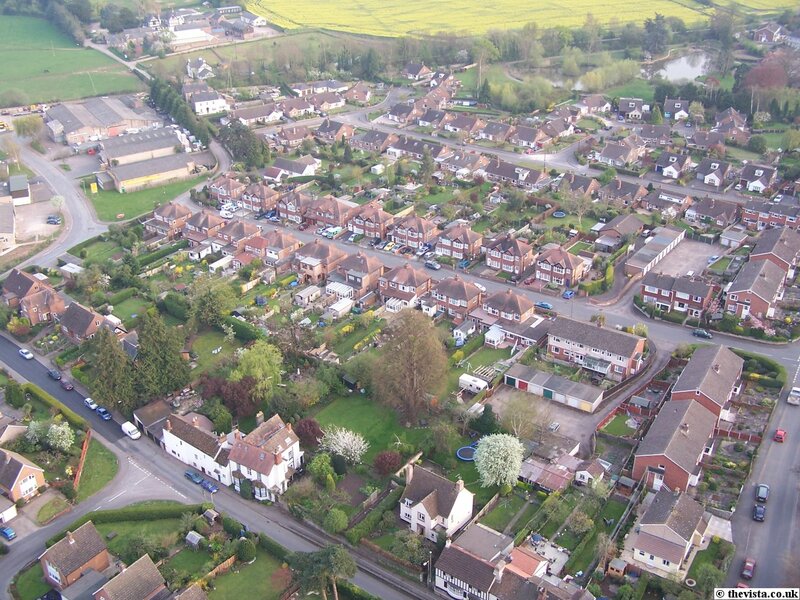 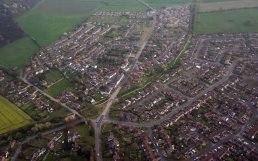 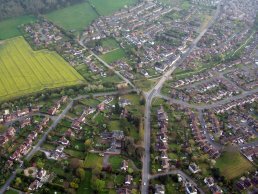 We then flew past the church and right over the Tennis club getting good views of St. Marys, the centre of Ross, Walford Road and Middleton Avenue. 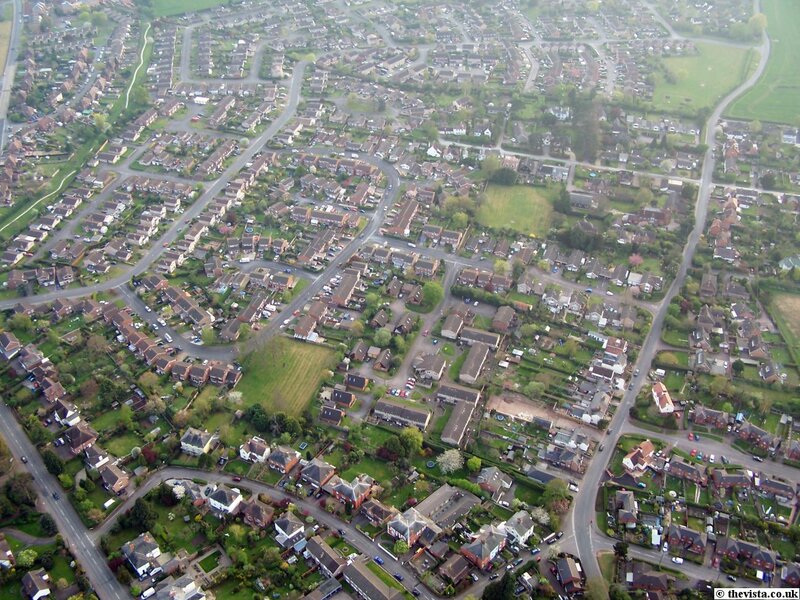 Next some good views of Purland, Tudorville and Vaga Crescent were visible. 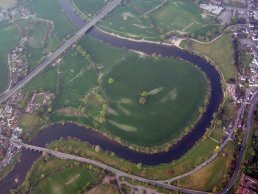 We then flew over the Horse Shoe Bend in the Wye and over Wilton Castle. 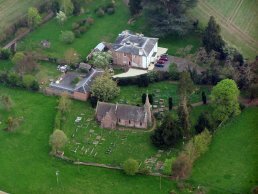 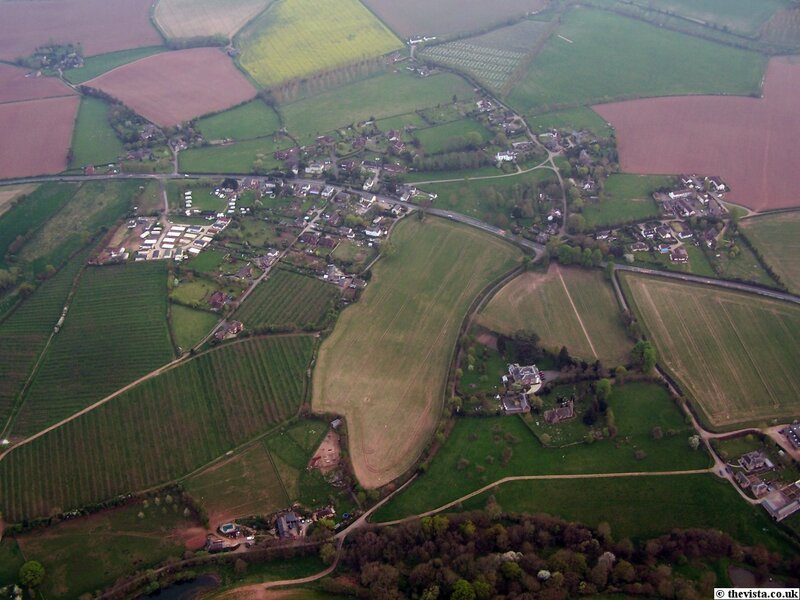 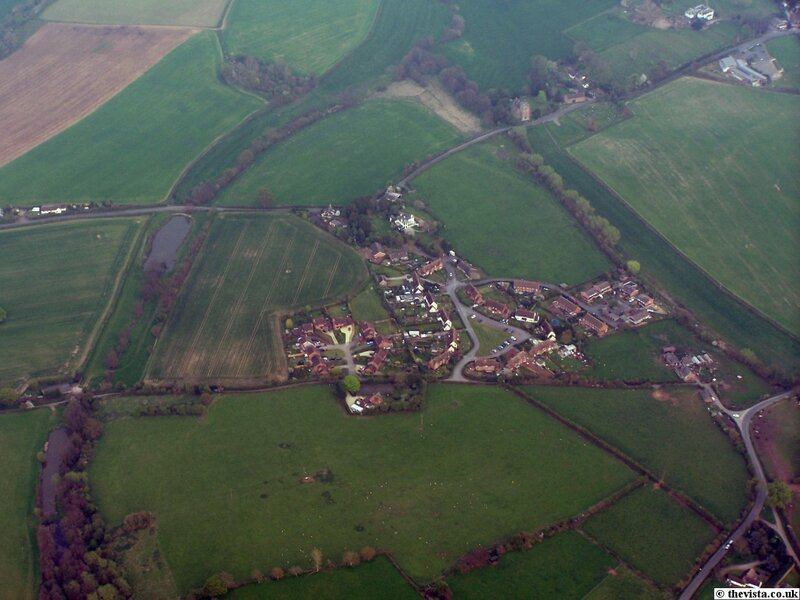 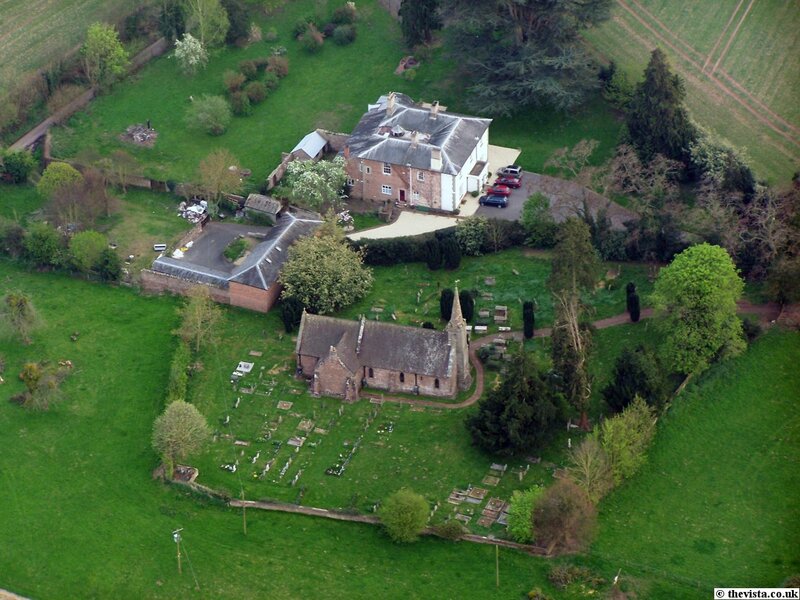 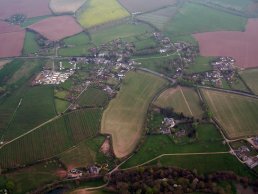 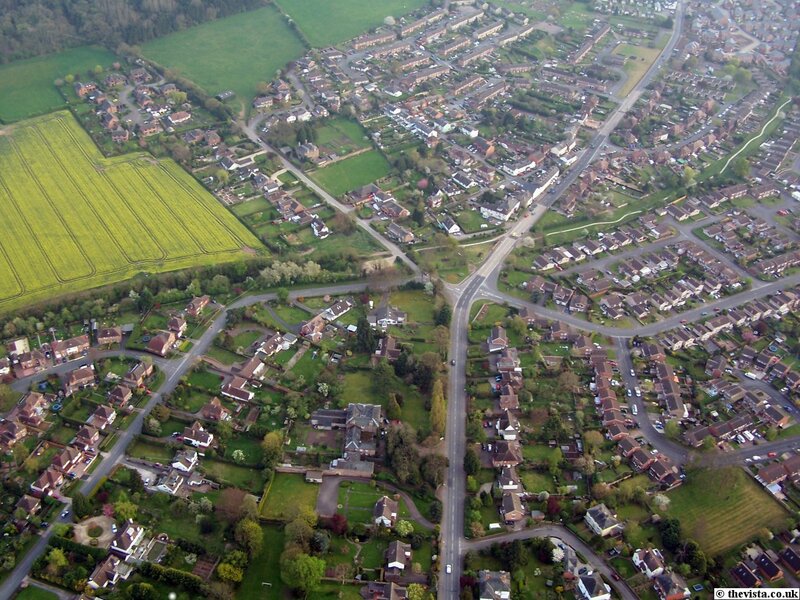 The flight then took us past Bridstow and on towards Peterstow where we flew low for some low level work. 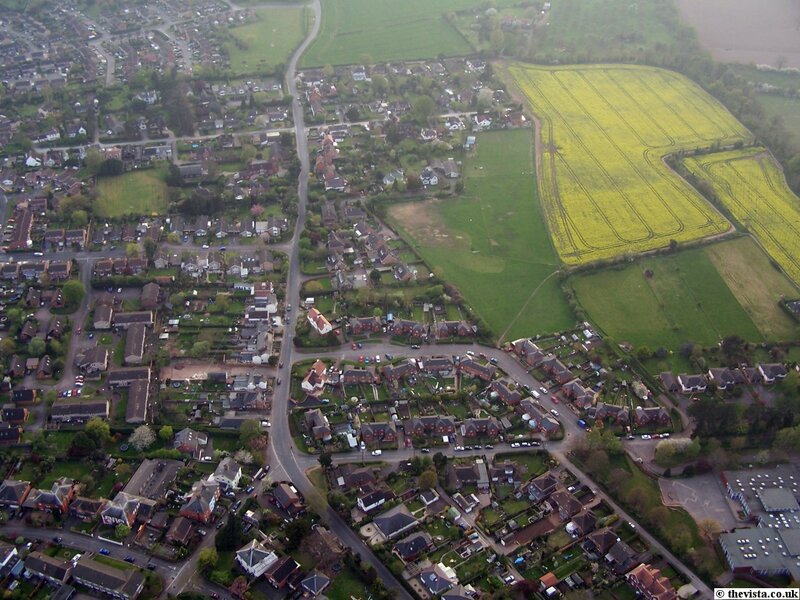 We then flew on towards Llangarron were we landed and waited for the ground crew to arrive. 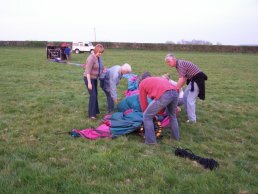 Next the balloon was deflated (below left) and we helped to squash the air out (below right) and make it into a rope (bottom left). 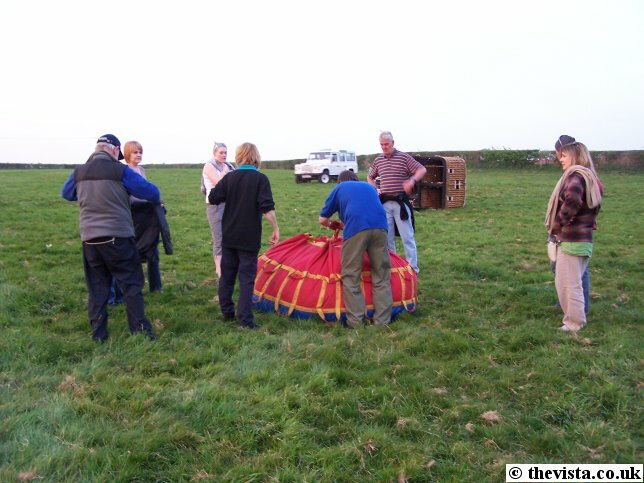 We then helped to pack it into the bag, slide the basket and balloon in the bag onto the trailer.